The certificates were received with much excitement but since then, only one or two couples have actually managed to figure out just what it was they wanted me to paint – perhaps I had given them too much freedom! 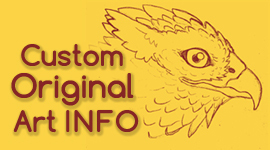 But one friend of mine who did figure out what she wanted presented me with an artistic challenge that took me outside my comfort zone, which is always a great opportunity for any artist. 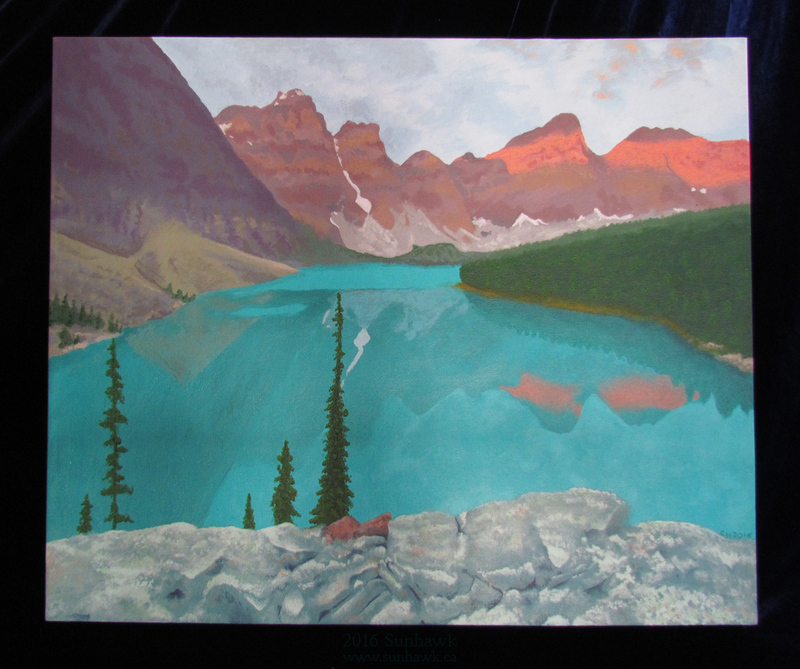 She asked me to paint a very specific landscape scene for her, namely Moraine Lake in Alberta, which is a gorgeous mountain range beside a brilliant teal-blue lake and it had huge emotional significance for her and her husband – no pressure there! She also requested that I do it in the colourful, stylized look of old tourism posters, just without the big, bold text saying “VISIT ALBERTA” etc. So I grabbed some canvases and went to working, starting with a warm-up painting to try to roughly block out the scene and then I painted a second, more-refined version of the same scene; I find that whenever I am drawing/painting something important, doing it at least twice really helps me to make the artwork better as each time I do it, I get a better handle on the details. I was a bit nervous whether she would like it, as I am normally more of an illustrator who focuses on the foreground characters rather than the background, but it was hugely fun to embrace the little challenges that are unique to painting rocks and trees and reflections on water. My friend was very happy with the end result, and that’s what mattered the most to me. I feel refreshed just looking at it!